Create great games, connect with players, and scale your business. As advances in global connectivity feed the rise of real-time multiplayer games, intricate platform economies, and esports communities, game developers of all sizes need an underlying cloud infrastructure to power their games. Google Cloud offers game services reliable and flexible enough to support cross-platform gaming at a global scale. Additionally, our data analytics and machine learning tools help optimize player engagement, segmentation, and monetization — critical for the prevalence of free-to-play business models. Google Cloud is already powering many of the world’s top AAA and mobile multiplayer games, helping deliver better player experiences across bare metal, hybrid-cloud, and multi-cloud deployments. Built on our private fiber optic network, our infrastructure has 18 regions and a presence in over 200 countries and territories, ensuring game servers and players are as close to each other as possible. Learn how Multiplay uses Compute Engine to host game servers for Respawn Entertainment’s global, free-to-play battle royale smash hit, Apex Legends. And why Massive, a Ubisoft studio, selected Google Cloud to host game servers for their highly anticipated sequel, The Division 2. Always a strong supporter of the open source community, Google Cloud helps developers build games their way without putting constraints on their vision or boxing them into inflexible, off-the-shelf solutions. Through Kubernetes, you can run your backend services wherever it makes sense. Hosting and scaling dedicated game servers is easy and flexible with the open source Kubernetes service Agones (co-founded with Unisoft) — now available in the GCP Marketplace and ready to install in just a few clicks. Open Match, our open source matchmaking framework co-founded with Unity, lets developers re-use their matchmakers instead of building them from scratch for every game. It’s designed for flexibility, allowing you to bring your own match logic, across all platforms. Google Cloud’s leading analytics and machine learning capabilities can help developers store, manage, and analyze the petabytes of data generated by hit games — making it even easier to discover insights and predictions that can help grow your audience. 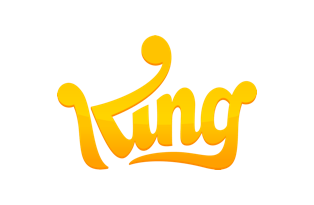 King, makers of the Candy Crush Saga, transitioned their data warehouse from Hadoop to BigQuery, which allowed them to create hundreds of virtual players — trained using Cloud ML Engine — to quickly gather insights and optimize their game design. 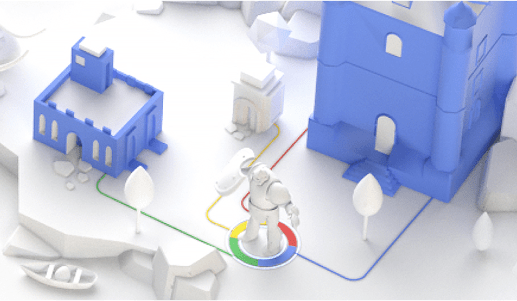 Google for Games offers a variety of services across multiple product areas — including Ads, ARCore, Maps, Google Play, YouTube, and Stadia — to help game developers create great games, connect with players, and scale their businesses. The newest addition, Stadia will work seamlessly with any cloud provider for multiplayer services, but there are distinct advantages for developers who pair Stadia with Google Cloud. For example, game traffic stays on our private, more secure network with predictable low latency, and you won’t incur internet egress charges when you run your Stadia game servers on Google Cloud. Speed of delivery is crucial to us and with the new setup, our teams can solve their own problems with fewer dependencies. It makes us so much more agile when teams can find their own solutions.